I think one of the most amazing things about Las Vegas are elopements. The intimacy, the complete personality that shines through, the amazing photos that are taken because the photographer can totally focus on the couple…I’m in love! 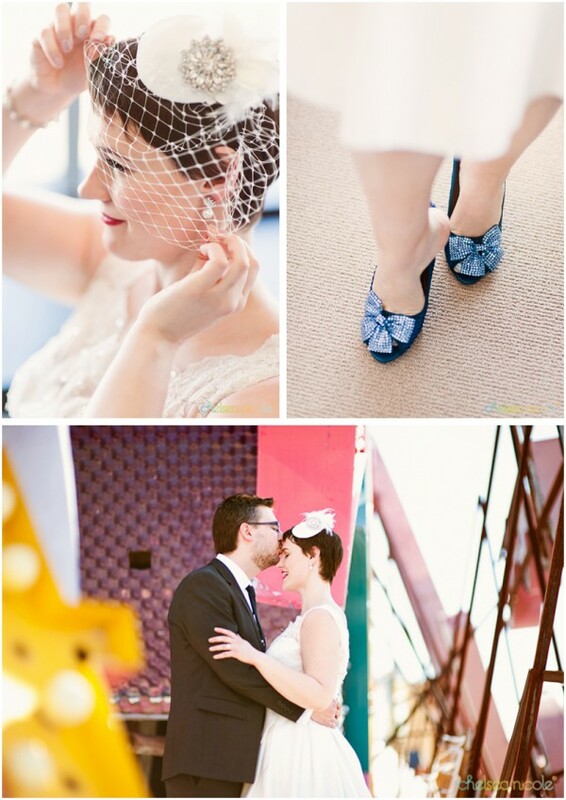 Today’s elopement comes courtesy the lovely Chelsea Nicole. I’ve been a fan of her work for sooooo long – way before I had even locked down a Vegas wedding as a possibility, actually, and wayyyyyy before this blog was even a thought in my mind. Today’s photos really showcase why I like her style. Because we wanted our wedding day to be an intimate experience between just the two of us, we snuck off to Vegas (from Minneapolis) to elope. It was a natural choice – six months after we started dating, I tried to get Pete to marry me while we were vacationing there. It may have taken a bit longer, but we finally got hitched on the 6-year anniversary of our first date. On our wedding day, we set out to have fun and celebrate each other – with lots of laughs. Since photos would be the only vehicle for sharing our special day with others, we knew our choice of photographer would be critical. We were thrilled when we found Chelsea Nicole because we knew she would capture our style and spirit brilliantly. She even surprised us by taking us bowling! Because Pete and I both work in the advertising/design industry, we wanted the images to look less like standard wedding photos and more like editorial shots you’d find in a magazine. See more of these amazingly edited and shot elopement photos at Chelsea Nicole’s blog.